Here is a guide to finding the bell you need. 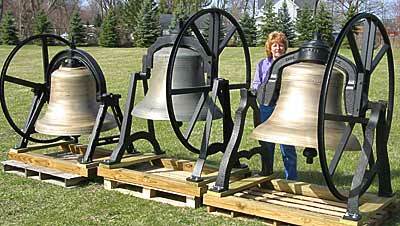 Our medium Bells, 17-26" - Look on the Cupola and Mission Bells pages. 16" or less - Look on the Railroad Bells, Ships Bells and Fire Bells pages. The sizes given are the diameter of just the bell, not including mountings, etc. We now include sound files so you can get an idea of what each bell sounds like. 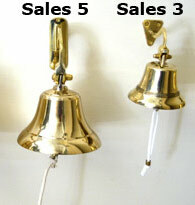 These are available complete and restored as shown above, or with just mounting yoke, or just a plain bell, as below. Also available in as-is condition or cleaned up and restored, as below. 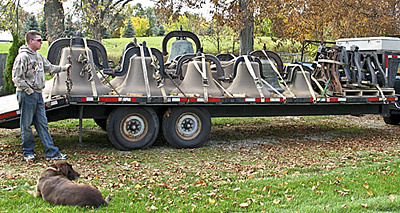 We have also have the countries largest inventory of cast iron bells for sale, some of which you see above. We have bells in sets, or available complete with mountings or just plain, as below. You can click on these bells for more info. We have new small bells for all occasions. The Bells above range in price starting at $24. 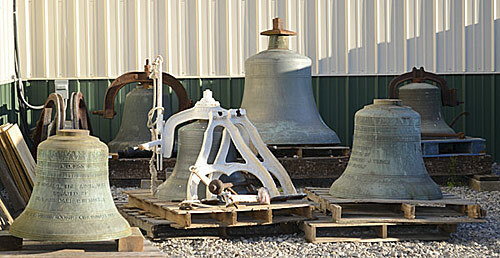 We also have antique and historic ships bells, Railroad Bells, Fire Bells and Gongs. Memorial Bells starting at $179.